Da Vinci – A new reason for patrons to check out the FamilyPass! 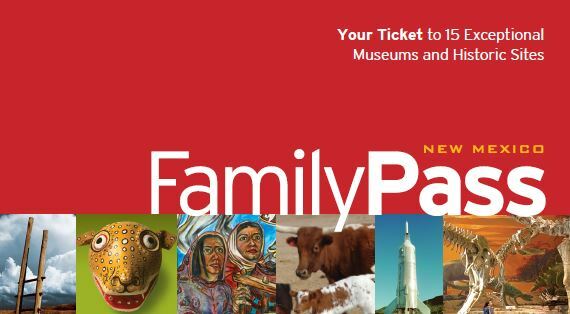 NM public and tribal libraries can give their patrons a new reason to check out the FamilyPass, with Da Vinci—The Genius on display at the New Mexico Museum of Natural History and Science February 10 through July 29, 2018. The FamilyPass will get them in the door at no charge – and while there is a fee for the special exhibit, FamilyPass users can take advantage of a discounted rate. With the FamilyPass, the reduced fee for visiting the da Vinci exhibit is $14 (adults), $13 (senior), and $7 (kids). Beginning February 10, 2018, the New Mexico Museum of Natural History and Science and Grande Exhibitions will present Da Vinci – The Genius, the most comprehensive exploration of Leonardo da Vinci’s work ever created, for a limited engagement in Albuquerque. The interactive experience will immerse guests in Leonardo’s timeless brilliance through full-scale interpretations of the mastermind’s inventions and unparalleled studies of his iconic art. Da Vinci – The Genius demonstrates the full scope of Leonardo da Vinci’s remarkable genius as an inventor, artist, anatomist, sculptor, engineer, musician and architect. Guests will enjoy many unique pieces including life-size machine inventions, entertaining animations of da Vinci’s most notable Renaissance works and an eye-opening, in-depth analysis of his most famous piece, “Mona Lisa.” Visitors will be able to push, pull, crank and interact with many of these exhibits for a hands-on understanding of the scientific principles behind them. Created with the assistance of the Museo Leonardo da Vinci – Rome, Italy, and a number of experts in Italy and France, Da Vinci – The Genius celebrates one of the most revered and dynamic minds of all time. The exhibition features 17 compelling themed areas of da Vinci’s work, offering visitors an unmatched look inside the mind of the ultimate Renaissance man who laid the groundwork for some of modern society’s most impactful inventions, such as the helicopter, airplane, automobile, submarine, parachute and bicycle.